This year, we’re going to hear lots of chatter about the Ultrabook format of portable computer. Ultrabooks are, in short, a super thin and very light format of laptops introduced by chip-maker, Intel, who hope to reinvigorate the PC market against the onslaught of tablet computers powered by rival processors. But if you can meld the lightness and functionality of an ultrabook with the intuitive and fun interface of a tablet, that would be great, too. 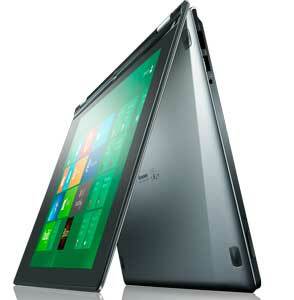 That’s what Lenovo is going for with the IdeaPad YOGA Notebook. Dell joined the fierce ultrabook fray today with the slim, stylish 2.99-pound XPS 13. By using a bezel-free screen design, the XPS effectively delivers a 13-inch display in a body size typically found in a 12-inch laptop, including a full-size backlit keyboard. The design is distinctively thin, less than a quarter inch (6mm) at the front edge and less than three-quarters inch (18mm) at the thickest point. The buttonless touchpad may take a bit of getting used to, but it was large enough to use comfortably and felt nicely responsive in our test drive. 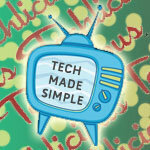 PC Pitstop is proud to welcome our friends at Techlicious as guest contributors. Founded by consumer tech guru, Suzanne Kantra, Techlicious is your daily scoop on everything from the best new mobile phones and apps to holiday shopping guides to step-by-step instructions for protecting your privacy on the Internet. Techlicious ces, techlicious, utlrabook. permalink.